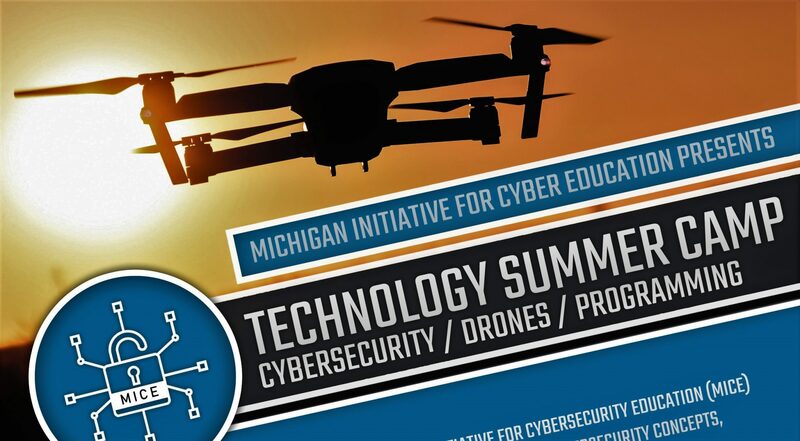 Join the Michigan Initiative for Cybersecurity Educator Team as we build drones, explore cybersecurity concepts, program games in python, and prepare for the future. Open to 13-15 years old, this camp will take up to new heights with guest speakers, hands on experiences, and a special gift for students to take home. Broaden your skills even further with free access to Cisco Networking Academy courses; free for every camp attendee.